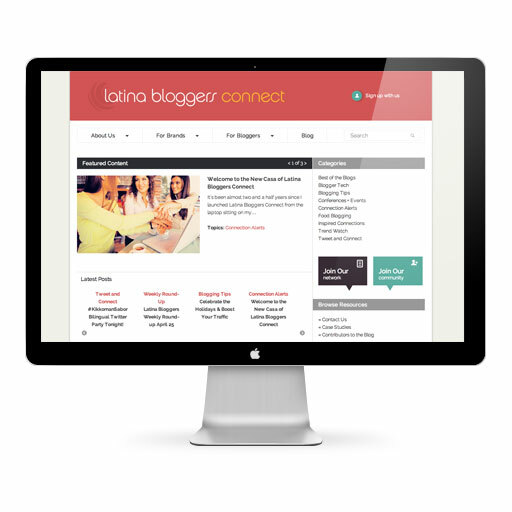 Latina Bloggers Connect offers both bloggers and brands ways to partner with the Latina blogging community. The site launched in 2010 using basic Wordpress template functionality. The visual and content focus of the first site was the blog itself, which communicated best practices, info about upcoming campaigns and more to the bloggers themselves. With success, content and connections grew, and LBC needed to re-imagine its website. The linear nature of the blog had made it difficult to find "overview" information, and brand-manager audiences had to hunt around for more information on working with the LBC team. The new site needed to be easier to navigate and provide clear information about the services and opportunities available. We redesigned the site so that first-time brand and blogger visitors could intuitively find in-depth information about working with or joining LBC. The home page now provides three slices for visitors to explore: About Us, For Brands and For Bloggers. LBC's social media assets are interwoven with the new template designs — recent blog headlines, tweets and Instagram photos automatically populate the footer — which instantly communicates the diversity of platforms and assets available. We developed content that provided more context and education about LBC's efforts, including clear calls to actions so that bloggers and brands would sign up to connect. Using fun, welcoming graphics and a tone that adds Spanish phrases into the mix, the site highlights case studies, bloggers and brand partnerships — the true success stories at the heart of the LBC brand. We continue to use Wordpress as the content management system for the site, but developed custom template options to allow for greater sophistication in selecting the most strategic content for features, presenting "static" content, and weaving blog headlines in appropriate venues using "tickers" and related posts dynamic functionality. 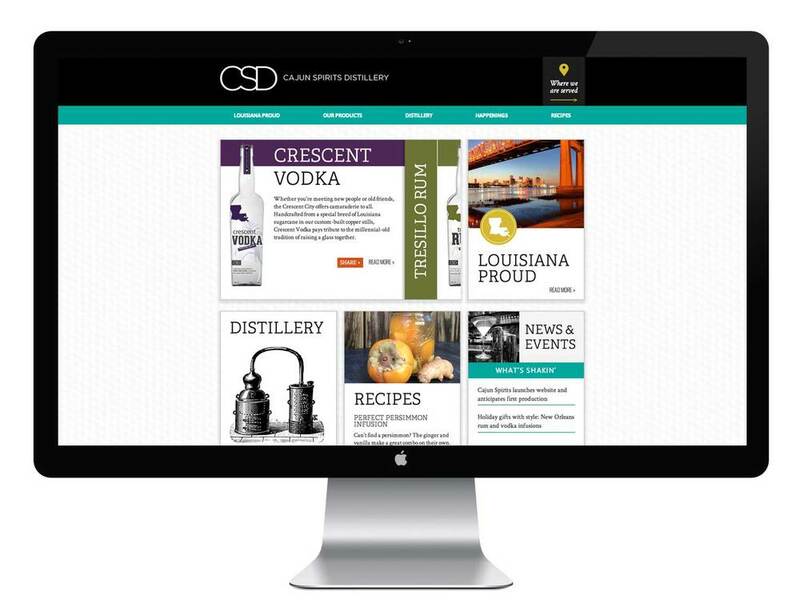 Over the course of four months, a three-person team took the new site from idea to launch. Last fall I was contacted by Jake Widman. He is an editor for the magazine Photoshop User. He invited me to be a contributor to their Design Makeover column for the December 2012 issue. Photoshop User magazine publishes the “Design Makeover” 10 times per calendar year. The “Design Makeover” presents a work that is currently in the marketplace along with three “redesigns” of that work. I was one of the three designers featured in this column. The assignment was to redesign Dawn Marks photography site. I wanted to make Dawn’s site feel more like a photography blog than just a portfolio site. I started by dividing the page into two columns. The wide column on the left shows Dawn’s portfolio, while the column on the right is dedicated to events, booking a session, contact information, and so on. I kept the existing navigation with only one edit. I created a new button for client login in the navigation bar. I wanted clients to be able to find the login button quickly, so they can view their proof's more easily. By creating galleries and category label graphics on the home page the site is able to showcase the type of photographs Dawn is capable of creating. Dawn’s target demographic is single women and moms, which is why I chose a feminine color palette.